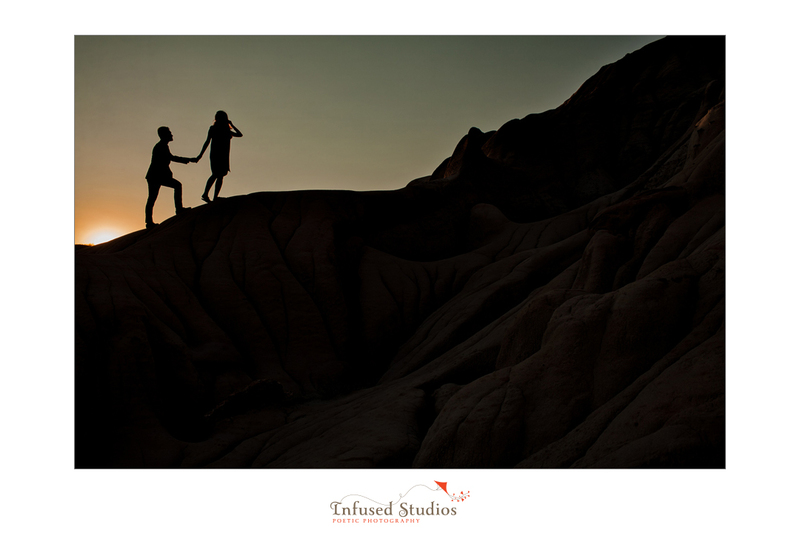 What do you make two people who are scared of heights do for their engagement shoot? 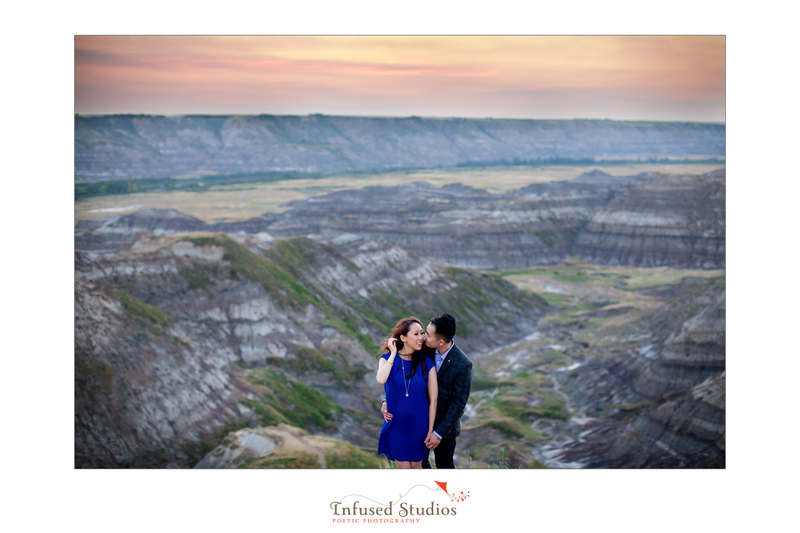 Stand on the edge of a cliff in Drumheller of course! Actually, Drumheller was Samantha + Raymond’s idea, as Drumheller is the birthplace of Samantha’s mother. 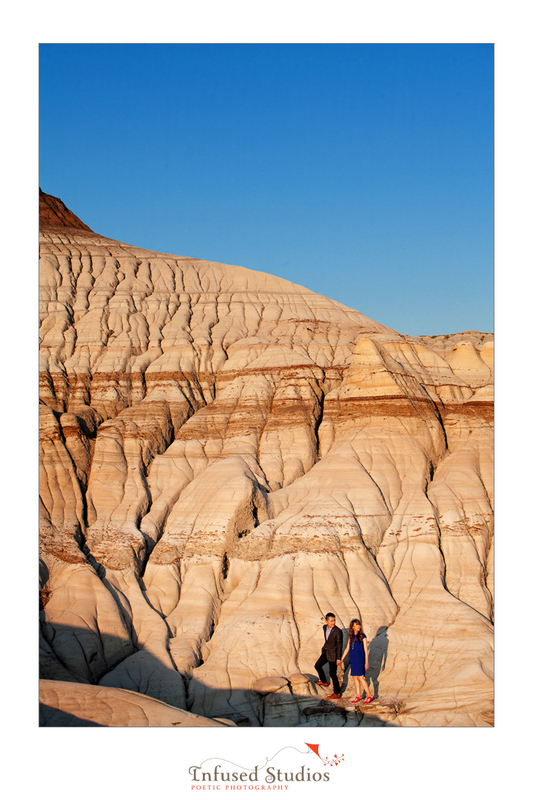 But we did jump at the chance to shoot this gorgeous couple in the hoodoos. 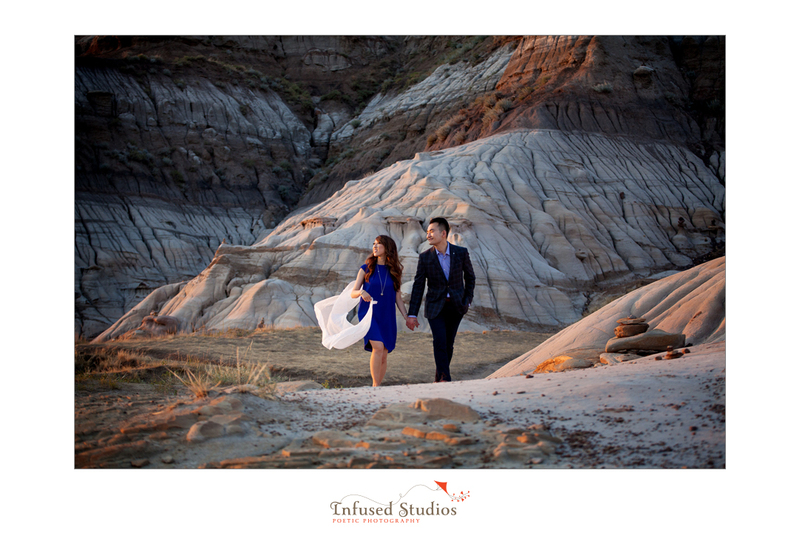 And in spite of the sweltering heat and the uneven landscape, Samantha + Raymond remained calm and stylish throughout the shoot. Whatever nervous energy they were feeling only translated into loving and supportive looks in front of our lens. Way to go guys! 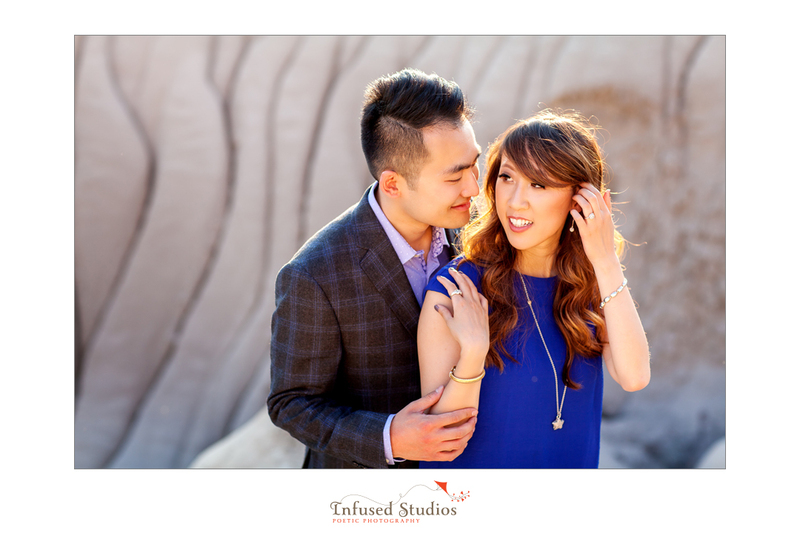 We can’t wait to capture your upcoming winter wedding. We’ve heard so many wonderful things about it already!